Railay beach is also referred to as Rai Leh, it is one of the most popular beach resort in the country. It is situated in the Andaman Coast in Krabi, Thailand. It is home to pristine sands and crystal clear waters, and has towering lime stone cliffs surrounding it. The beach is a unique destination that is famous with travelers all over the world, and is accessible only by long tail ferry. 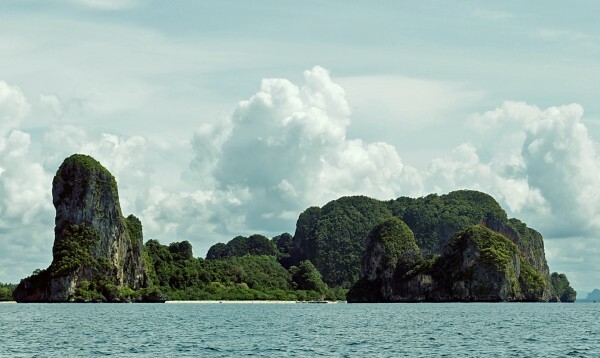 It is cut off from the mainland by mountains, so it can be accessed only via long tail boats. The ferry services can be accessed from various locations in Thailand such as Phuket, Koh Phi Phi, Koh Lanta, Krabi, Ao Nang and many others. 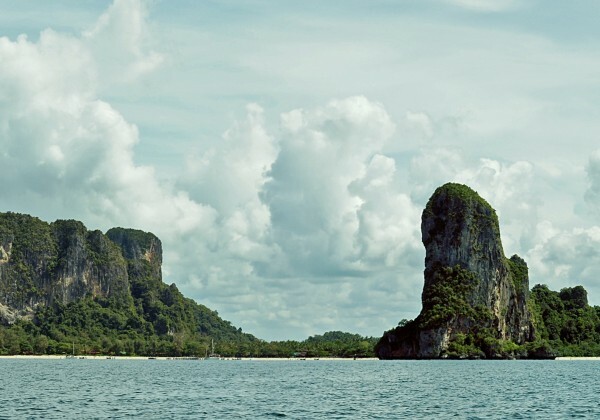 Railay beach is a popular tourist destination for several reasons. For once, it is a serene spot that has not many crowds and noise. Secondly, the mountains and lime stone cliffs here have on offer some excellent opportunities for rock climbers. The isolated natural beauty here is yet another reason that attracts honeymooners as well as families. The backpacking crowd is mainly attracted by the lime stone rocks. Railay Beach has the Rayavadee Premier Resort as the sole luxury accommodation option in the island. It is an excellent resort and has a huge number of excellent facilities, amenities and services. If you want something in the mid range, you have a number of budget accommodations, the majority of which are located on the western side, and several others on the eastern side.